WealthBar earns the distinction of being the first full-service robo advisor in Canada. It was established in 2013 by Tea and Chris Nicola, who are both veterans in the financial and technology industry. Tea Nicola is the CEO of Nicola Wealth Management, catering mainly to affluent investors using private investment pools. WealthBar is a hybrid robo advisor. 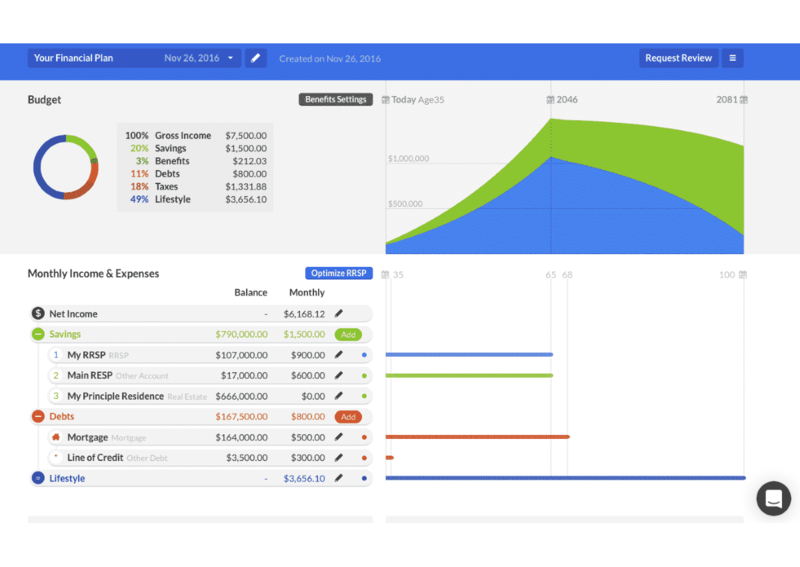 The service combines automated investing with human financial advice. But unlike other hybrid advisors, WealthBar offers lower fees and custom ETF portfolios. WealthBar has more than $250 million in assets under management in May 2018. 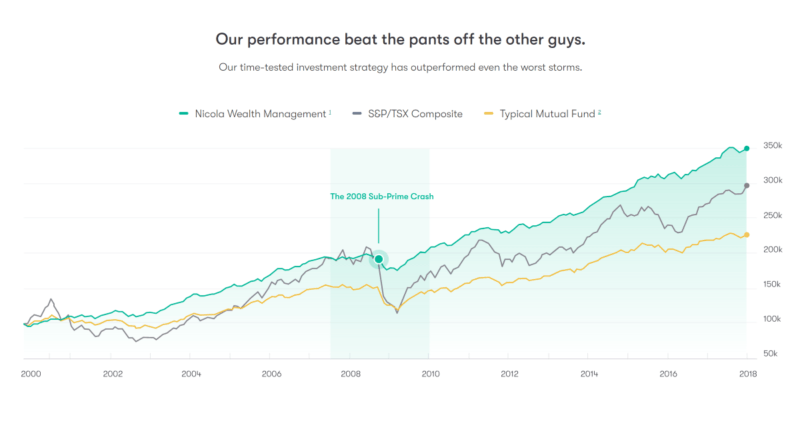 But what makes this robo advisor stand out are the investment portfolios. WealthBar opens the door to exclusive investment options including private investment portfolios, which are usually reserved for wealthy investors. Where other automated investment services only offer portfolios derived from exchange-traded funds (ETFs,) WealthBar allows you to enter the world of private investors. 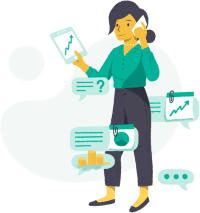 In this 2019 WealthBar review, we’ll look deeper into the service and find out if this robo advisor is worthy of consideration. Special Promotion: We partnered with WealthBar to offer you a special promotion. If you use our link to sign up and fund your account, you’ll get your first $15,000 managed free for a year! WealthBar utilizes a multi-tiered or sliding-scale fee structure, which is a bit different than most other robo advisors. The marginal rate on your fees decrease when you reach the account size goals listed below. So if you’re investing $500,001 for example, even though the fee on the five hundred thousand and first dollar is 0.35%, the first dollar invested is still charged at 0.60%. As you can see, the first $150,000 is charged at 0.60% annually, which never changes no matter how much you end up investing. The more you put into your account, the lower your fees get, but there isn’t quite as much incentive to invest more as we’d like to see. The fees do, however, cover all the services included in your account like rebalancing fees, trading charges, portfolio management, and personal financial advice. If you compare the fees to another Canadian robo advisor like Wealthsimple, you’ll end up paying more with WealthBar, though not by much. For example, let’s say your investment account is $500,000. Using WealthBar, your annual fee is around $192 per month using a calculated 0.46% annual rate. This amounts to an annual fee of roughly $2,300 (or $150k x 0.60% plus $350k x 0.40%). 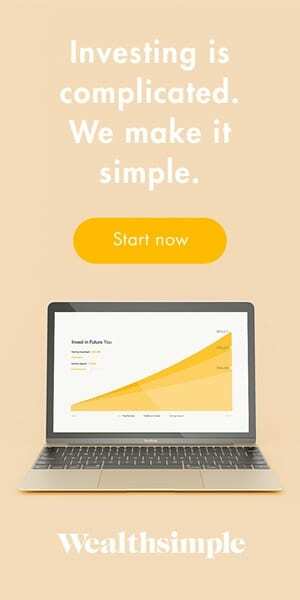 For comparison, Wealthsimple’s annual fee is lower at $2,000 based on a 0.40% annual rate, and NestWealth would charge only $960 per year with their flat fee structure. How about for a more modest investment amount of $25,000? With WealthBar’s 0.60% rate you’d pay $150/year. 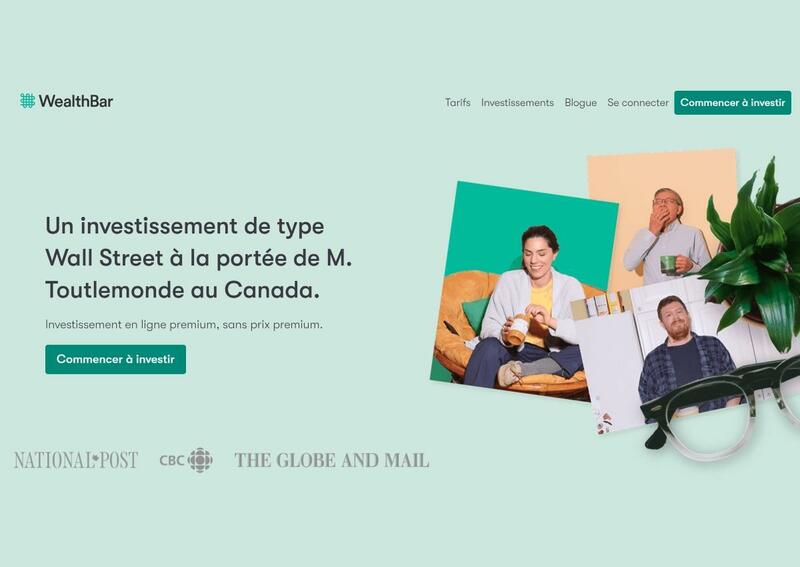 Wealthsimple would cost you $125/year, while NestWealth would be $240/year. Clearly, the different services’ fee structures will determine which one is best for your budget. But keep in mind it’s not all about the fees; different services offer different features, and just because one is more expensive than another doesn’t mean it’s a better overall value. WealthBar combines automated investing and human intervention. It also gives you access to private investment portfolios – once the domain of the ultra-wealthy – at a low minimum deposit. Best of all, you can get your hands into socially-responsible investing. All these benefits make WealthBar an intelligent choice regardless of investment budget. WealthBar requires a minimum deposit of $1,000. If you invest less than that, your account will not be invested in your selected portfolio until the minimum deposit is achieved. WealthBar gets a high score in terms of flexibility. Not many robo advisors offer the chance to invest in private investment portfolios and typical core portfolios while still charging relatively low fees. You can choose to invest all your money or only a small portion of it depending on your preference. We also like how WealthBar offers customized financial advice upon opening an account. You’ll get access to a dedicated financial advisor as well. Overall, this is the type of flexibility that we like in a robo advisor. Like most robo advisors, WealthBar’s service is easy to use. Opening an account will only take 10 to 15 minutes. 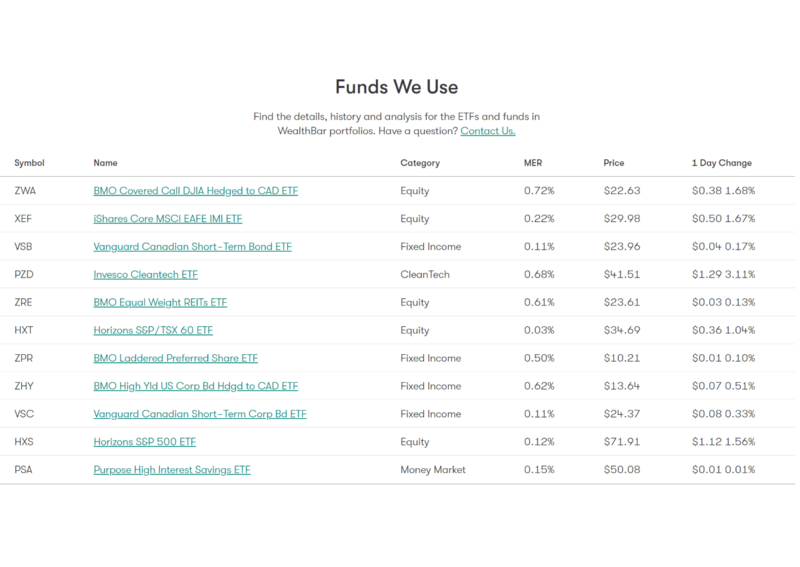 WealthBar also offers low-cost portfolios for smaller investors. 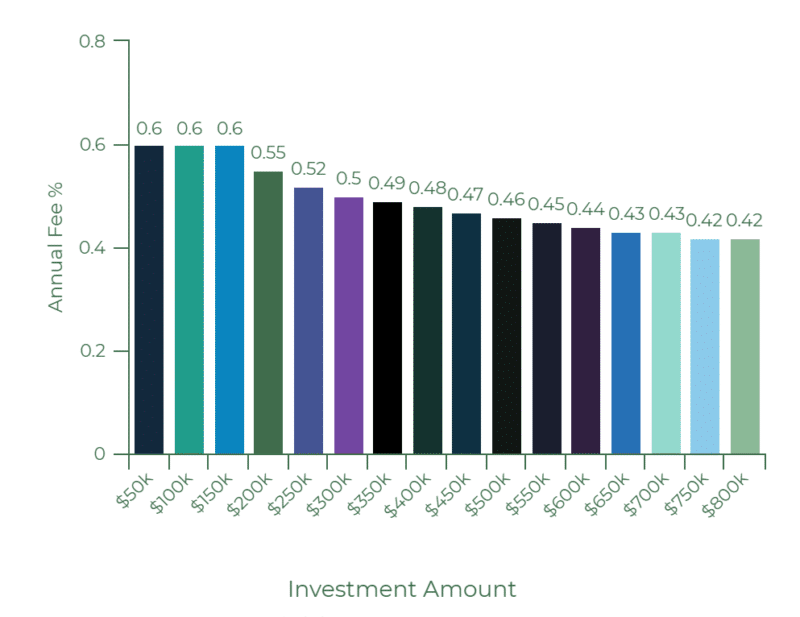 Each of these low-cost investments is based on your objectives and risk tolerance. After selecting the type of account you want to open, it’s all a matter of funding your account and you’re good to go! And if you want to move your investments from one service to WealthBar, the robo advisor will refund any transfer fees up to $150, but only for accounts worth higher than $25,000. WealthBar offers many types of investment accounts including corporate/business accounts, individual joint accounts, RDSP, LIRA, TFSA, LIF, RRIF, and RRSP. Each of the low-cost ETF Portfolios contains around eight to 10 individual ETFs from Horizon, Vanguard, iShares, Purpose, and BMO. The service also includes estate planning, investment assessment, corporate tax planning, and tax optimization. Private portfolios are offered in three risk levels. The aggressive private portfolio is oriented towards maximum growth but with higher volatility. The balanced private portfolio has moderate growth and a certain degree of volatility. Finally, the safety private portfolio offers marginally lower returns with lower volatility. 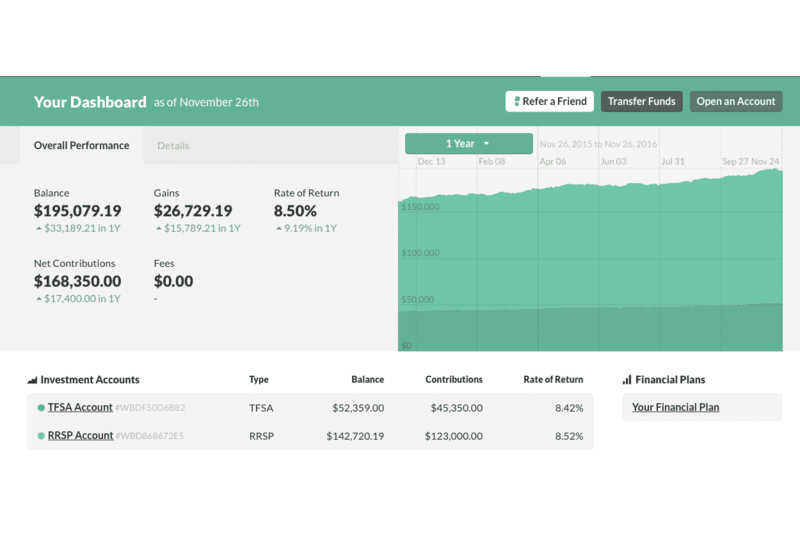 In our review of WealthBar, we find the $1,000 minimum deposit great for small investors. However, you’ll want to keep an eye out on the fees. Again, this is not a bad thing considering you get more features and access to a human advisor, but it’s important to consider the fees nevertheless. WealthBar is mostly suited for bigger and more experienced investors with a higher net worth – unless you don’t mind paying slightly higher annual fees in exchange for more services. But like all robo advisors, WealthBar will save you money when compared to investing in typical bank mutual funds. We find WealthBar to be one of the better Canadian robo advisors in the industry. Where else can you get the chance to invest in private portfolios that are normally reserved for the biggest investors? 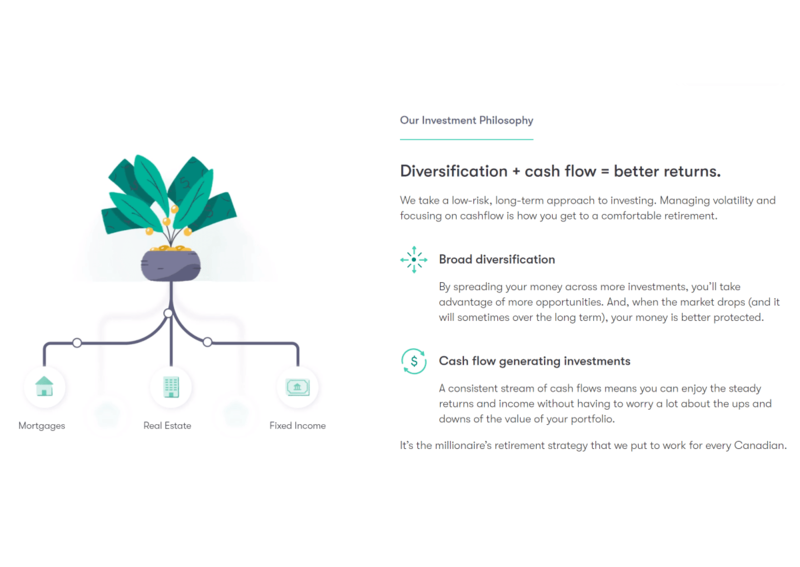 Considering that this hybrid service includes human financial advice and lower fees (for bigger investments), it seems WealthBar has all the bases covered for an easy-to-use and budget-friendly robo advisor. But again, it depends on what you need in a robo advisor. 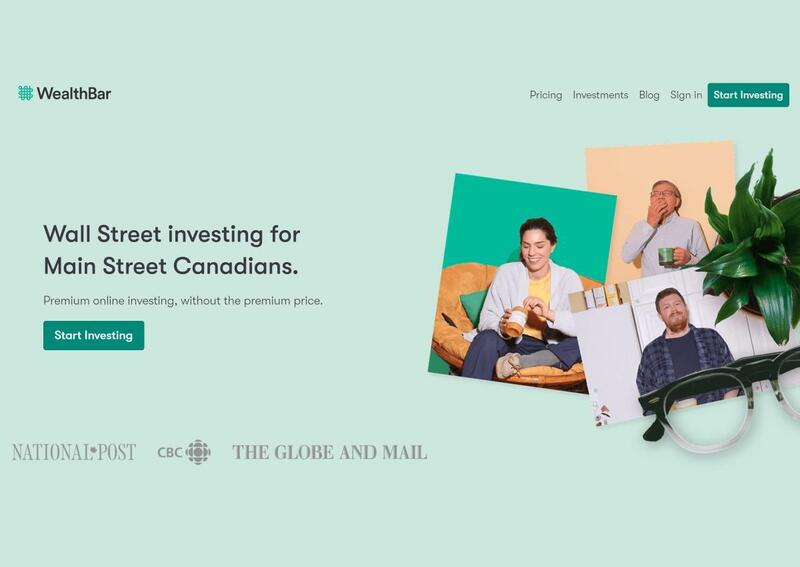 If you have a large initial deposit (upwards of $100 to $500k), other Robo Advisors like Wealthsimple and NestWealth will charge lower fees overall. However, only WealthBar offers private investment portfolios and a human advisor. This alone is reason enough why WealthBar remains an interesting choice. And remember, if you use our special link to sign up, WealthBar will manage your first $15,000 for free for the first year.